Surrey. Some children don't get the best start in life but it's Foster Carers, just like you, who can make the difference in their lives - giving them a chance to heal and feel safe again. Foster carers come in all shapes and sizes and can be as individual as the children they Foster. 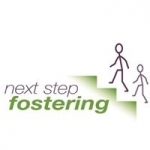 Anyone can apply to Foster if you have a spare bedroom and a genuine commitment to help children. professional support - and because we are family-owned and run we don't have to answer to corporate shareholders, meaning that our Carers can focus on the children that they look after. We're recruiting right now, so find out more.